Wine and the Etruscans is a fascinating theme but little known. When people thinks at the antiquity of Italian wine, they thinks almost exclusively to Rome. Obviously Rome has played a fundamental and extraordinary role in the history of wine, but also the Etruscans have been relevant. Above all, they came first and taught so many things to the Romans. 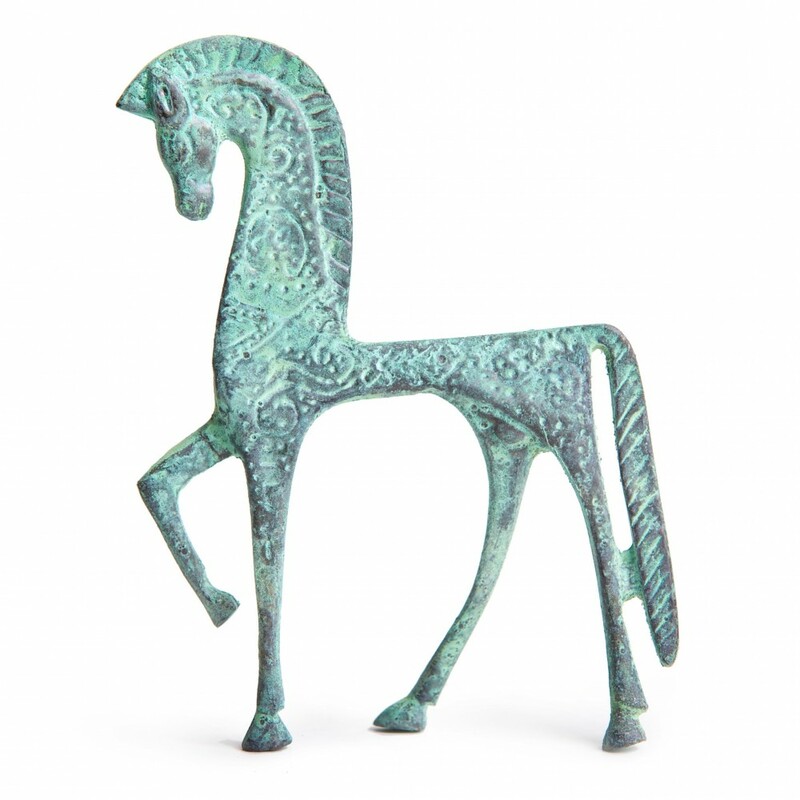 Why do the Etruscans interest we so much? Because they were the first inhabitants of our lands and were the first winegrowers in Italy. Millennia ago, therefore, he was here in our place, doing our own work! But who were the Etruscans? Read below … if you already know this part, skip it. After a territorial decription, we will dedicate ourselves specifically to wine. Livy, Ab Urbe Condita, book I, I c. b.C. The Etruscan civilisation was the most impressive in the western Mediterranean before the rise of the Romans, from the 9th century to the 1st century BC (with the final conquest by Rome). Historic Etruria comprised a large part of Tuscany and upper Latium, but it eventually spread as far as Emilia and Campania and all the Tyrrhenian Sea. The Latins gave them the name Etruscans, and the area was called Etruria. They referred to themselves, however, as Rasenna, and their nation as Rasna. They were a clearly defined ethno-linguistic group, specialising in commerce, crafts, and agriculture. While recognizing themselves as a nation, the Etruscans does not constitute a political unit: they were split into independent city-states, the first socio-political model of this kind in Italy. They had an extensive network of relationships with the most important civilizations of the Mediterranean (Greeks, Phoenicians, …), the other people of Italy, as well as with the continental European populations, such as the Celts. Our territory was characterized by a row of hills parallel to the sea, in the middle of a marshy flat area (the North Maremma), inhospitable and where proliferated malaria. Since prehistoric times the people lived in the hills practicing hunting and gathering wild products. Later, the first permanent settlements arose and thence the first early agricultural societies that gave origin to the Etruscan civilisation. The great territory wealth was the big mining resources (above all iron), which exploitation initiated from the Bronze Age (12th century BC). In contrast to the large-scale inurbations in southern Etruria, few cities rose in this area, and the populations remained scattered. Three great city-states dominated the coastal area: Pisa, which controlled the northernmost stretches; Volterra dominating the Cecina Valley to the sea; and Populonia in the south. The Etruscans, excellent hydraulic engineers, reclaimed part of marshy plains near the sea, and used it for agriculture. Our territory, Castagneto Carducci e Bolgheri, was part of city-state of Populonia. 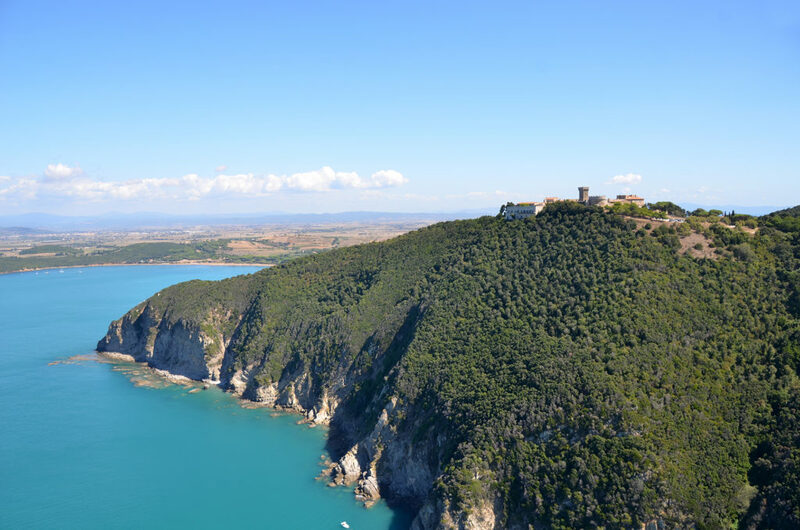 Its ancient remains are at few Km from our winery, seaward the charming Gulf of Baratti. 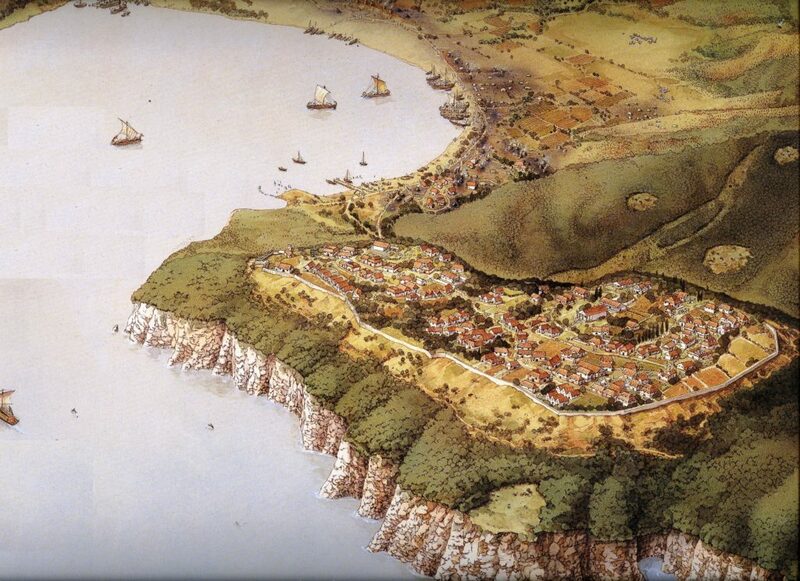 In the picture: Populonia graphic reconstruction in the VI c. BC (Val di Cornia Parks). The triangle formed by Volterra, Populonia, and Vetulonia, plus the island of Elba, was named Mining Etruria, for its significant mineral resources: copper, lead, silver and above all hematite (that yielded iron). These resources provided the economic engine for Etruscan commercial and cultural development. Populonia, the only Etruscan city by the sea, became the most prominent iron-production site on the coast from the 6th and 2nd centuries BC. The minerals were mined from the near hills and the island of Elba and all the metal workings were centred around the port of the city, tightly integrated into the general Tyrrhenian commerce routes. Once it entered the orbit of Rome (II c. B.C. ), these activities continued. Populonia declined on the Roman period. devouring time has wasted its mighty battlements away. under a wide stretch of rubble lie the buried homes. from precedents we discern that towns can die. In the picture: Populonia today. The city began to decline during the Roman era. In the 3rd century AD, Populonia ceased mining operations and fallen off completely. In the 4th century, there remained only ruins. In the Middle Ages, beginning in the 10th century, mineral extraction began anew, utilising mining techniques very similar to those ancient. In the 19th century, and at the beginning of the 20th, mining started again. The ancient slag heaps that had been deposited in Etruscan times around the gulf of Baratti were re-processed, since they still contained considerable iron resources, left behind by the crude technology of the past. The heaps covered some 10,000 square metres and weighed some 20 million tons. Under several metres of slag emerged the remains of an ancient Etruscan necropolis. Metals mining died out in the late 1970s, as deposits were exhausted, but limestone extraction continues today. 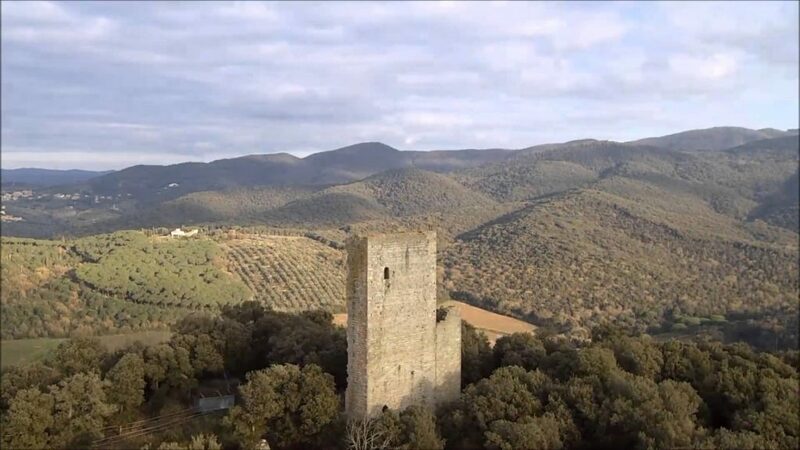 The most important Etruscan site in Castagneto is the Tower of Donoratico, unfortunately not visited because it is located in a private property. THE TOWER OF DONORATICO. This archaeological site bears remains from various periods. The oldest belong to an Etruscan settlement (3rd-1st c. BC), likely an outpost of the city of Populonia, set here to defend the coast as well as mineral mining activities inland. The settlement retained its strategic importance during the Roman period. During the Middle Ages, it was a modest village (8th c.), then fortified (9th c.) and then enlarged (13th c.). Legend has it that Conte Ugolino found refuge in the castle after the Battle of Meloria, in 1284. It was later abandoned, although the reasons are not yet clear, in the first decades of the 15th century. 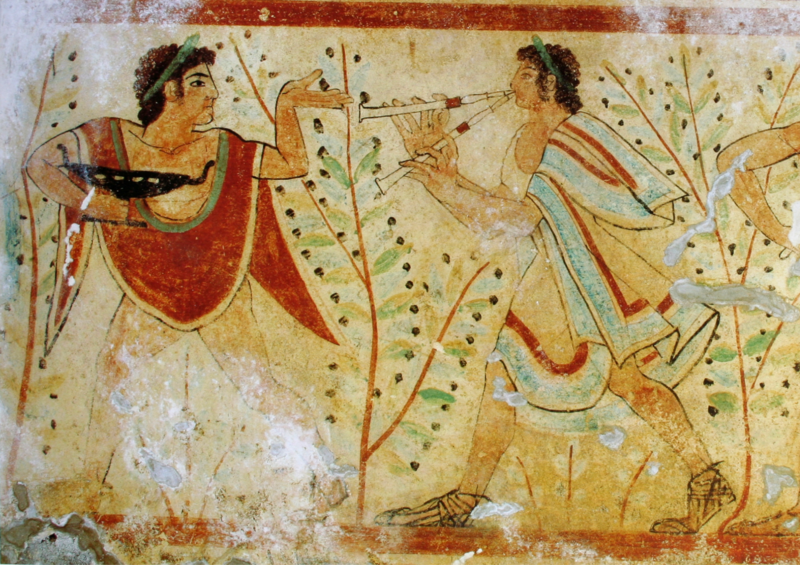 So, the Etruscans played a decisive role in the spread of the wine culture in the western world. They were the first to develop viticulture in Italy introducing their practices into much of the peninsula, from the north (Emilia Romagna) to the south (Campania), Rome included. Great navigators and traders, they came into contact with the cultures of the eastern Mediterranean and introduced in the West cultural aspects of wine, as the religious symbolism and ritual consumption in the symposia. They brougth from East also the oriental grape varieties. Finally, they also spread wine and its culture via commercial channels to the people of western Europe who were still ignorant of this beverage, such as the Celts, the German tribes, and the Iberian peoples. However, we will go into more detail in the next post. Parco Archeologico di Baratti e Populonia, loc. 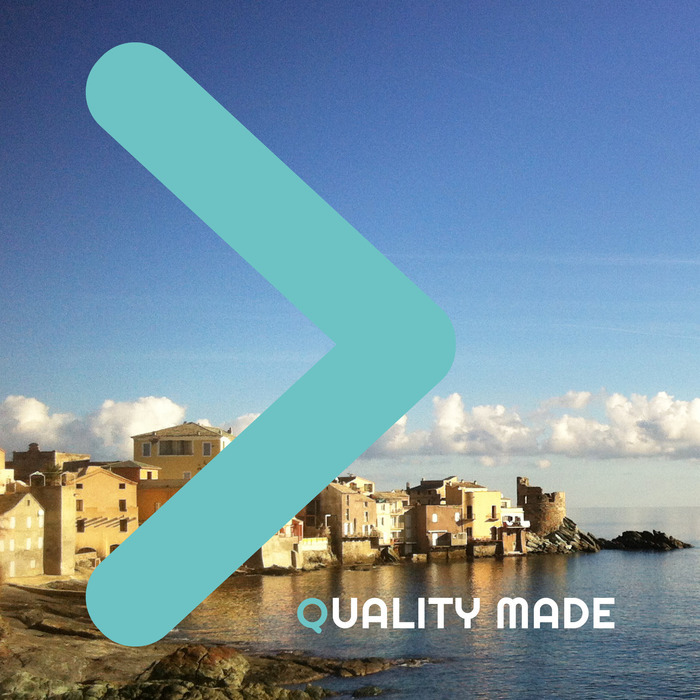 Baratti, Piombino. Collezione Gasparri, Via di Sotto 8, Populonia Alta. Museo Archeologico del Territorio di Populonia p.za Cittadella 8, Piombino. Parco Archo-minerario di San Silvestro, via di Sa Vincenzo Sud 34/b, Campiglia M.ma. Museo del Palazzo Pretorio, via Cavour, Campiglia M.ma. Museo Archeologico di Cecina, Villa Guerrazzi loc. La Cinquantina, San Pietro in Palazzi. Museo Civico Archeologico di Rosignano M.mo, Palazzo Bombardieri, va del Castello 24. Area Archeologica di San Gaetano a Vada. Museo Archeologico Nazionale di Castiglioncello, via del Museo 8, Castiglioncello. Museo Etrusco Guarnacci, Via Don Giovanni Minzoni 15, Volterra.